This week I am starting to decorate for Christmas and I put together a little mood board via pinterest to get me into the holiday spirit. 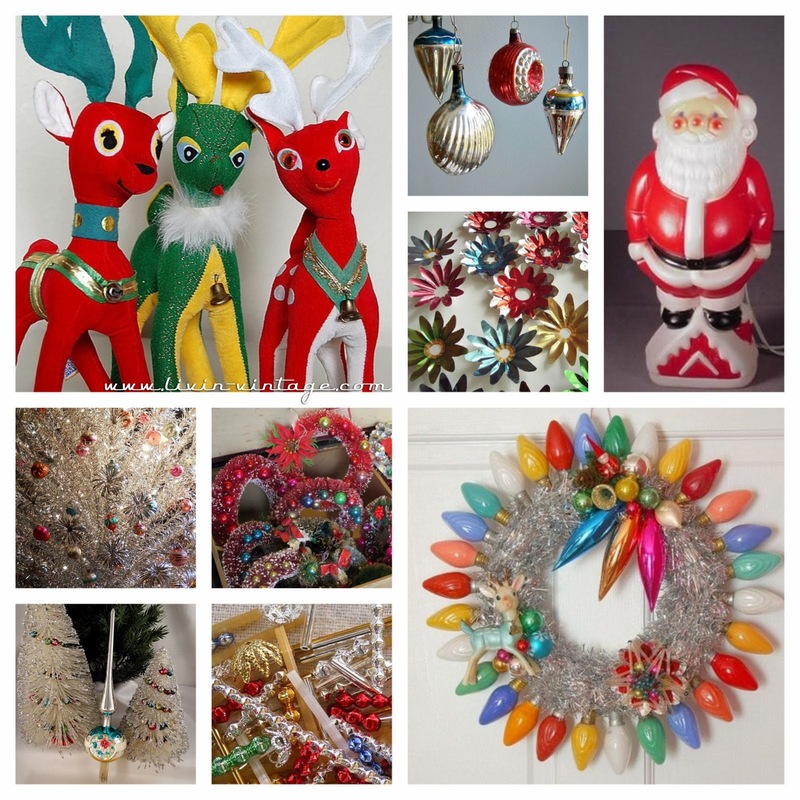 Stuffed reindeer, mercury glass, bottle brush items, aluminum trees, blow molds -- these are just a few of the items I am really lusting for this year. I fell in love with this light bulb wreath over the summer and I finally found the last items on my supply list; so I will be putting this together this week as well. What vintage christmas items are you falling for this year? I want to find some more knee huggers, love them! !